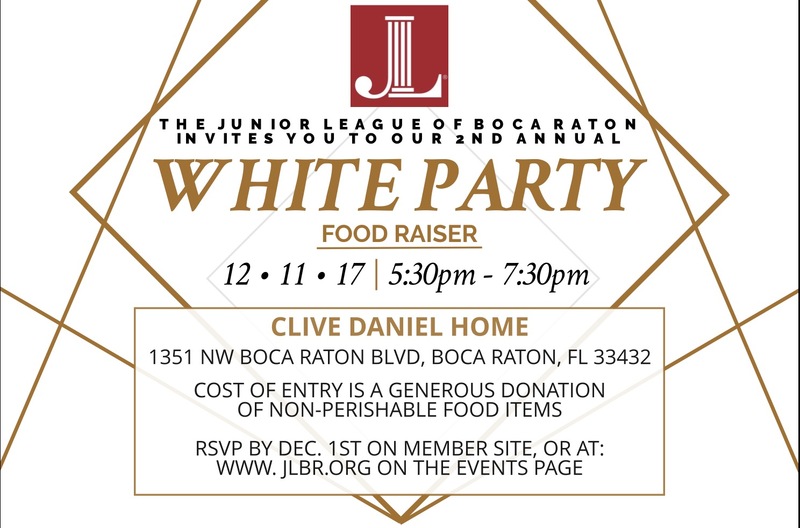 The Junior League of Boca Raton invites you to our 2nd Annual White Party Foodraiser. Put on a fabulous white outfit & join us for this wonderful evening at Clive Daniel Home, Boca Raton. Admission is a generous donation of non-perishable food items.